Allows diameters of up to two times the length of the gas tubes to be cut simply and easily. 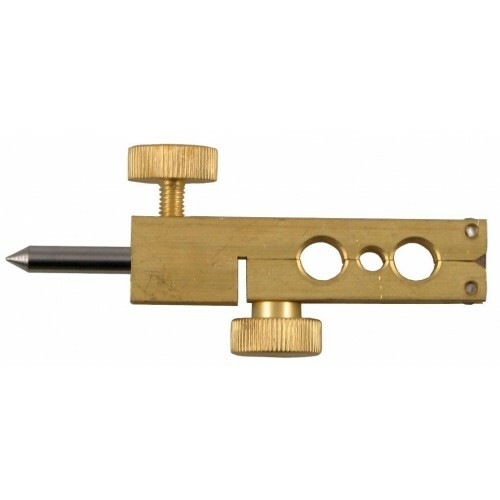 High quality brass body and screws with chrome plated steel centre pin. Compatible with most blowpipes including 1144, 1143, NMC200, NM250, NM400 etc. Also compatible with cutting attachments. Min/Max cut 100mm - 500mm.